Starting with just two horses and a wagon, the company has grown over the last 137 years into a thriving multi-million-dollar award-winning moving corporation. Throughout the evolution of E.E. Ward, they have never lost sight of the principles of excellent service and giving back to the community on which it was originally founded. In fact, they pride themselves on their excellent service, and have the credentials to back it up for when potential customers search online for “moving companies near me”. E.E. 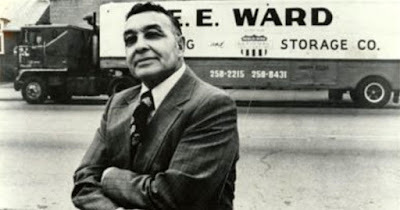 Ward’s historical past is part of the company culture today that continues to inspire its promising future. E.E. Ward is owned by husband and wife Brian and Dominique Brooks, who have a strong commitment to strengthening the legacy of E.E. Ward while fostering growth and innovation in the company. Every year, they are recognized for outstanding customer service and overall quality experience.